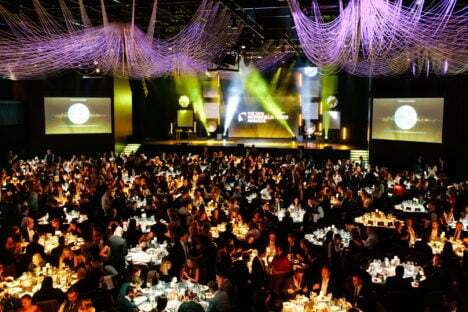 Independent agency group Cummins & Partners were the big winners at the 2016 Mumbrella Awards, picking up Independent, Full Service and the overall Agency of the Year awards. 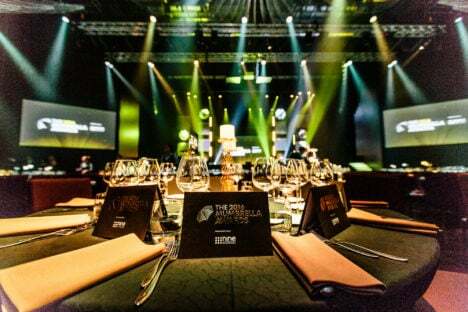 The annual Mumbrella Awards, held last night at Sydney’s Star Event Centre, saw New Zealand agency ColensoBBDO win in four categories, being named Creative Agency of the Year, Promo or Activations Agency of the Year, Innovation for its Brewtroleum campaign and Best Use of Real Time Marketing for Pedigree Found. Cummins & Partners was also one of the agencies to pick up the prize in the Mumbrella Award for Collaboration alongside CGU, Tropfest, Mediacom, Other side of the Table and Cardinal Spin, for its pivotal role in saving short film festival Tropfest from closure with a rapidly-arranged sponsorship from insurer CGU. Another independent agency, Atomic 212, claimed the Media Agency of the Year title while Eleven was the PR Agency of the Year, and Special Group was Emerging Agency of the Year. Media agency OMD held off sister Omnicom agency Foundation in a tight race for the Mumbrella Award for Culture, while ANZ was named Marketing Team of the Year. Finch landed the Production Company of the Year title. Two individual awards were handed out including the inaugural Industry Leader of the Year which went to Host and One Green Bean founder Anthony Freedman and the Under 30 Achiever of the Year to Lindsay Rogers, founder of Chello. You can read more about all the winners, as well as comments from the jurors, in the full list below. Pedestrian.TV picked up the Media Brand of the Year for the second time, while News Corp enjoyed success in two categories – Data Driven Marketing for its Smart Segments campaign and Social Media Idea of the Year for its ANZAC Live work. Influencer marketing start-up Tribe took out the Advertising Technology Company of the Year trophy less than a year after it was founded, whilst AdRoll was named Ad Tech Sales Team of the Year. Cinema and outdoor company Val Morgan was Sales Team of the Year – Media Company. The Monkeys won the public vote for the second year in a row to win TV Ad of the Year for the MLA’s Australia Day campaign Operation Boomerang. Western Sydney University’s Unlimited campaign by VCD+WE and Finch won Ad Campaign of the Year, and Affinity won Media Campaign of the Year for its data-led campaign for Narellan Pools. The Works won Pro Bono Campaign of the Year for its graphic work for Sea Shepherd, Ultimate Death Scene. The first ever Best use of User Experience award went to Rotor Studios for its Toyota Showrooms 360 experience. This category seeks to recognise the best and most innovative user experience design solution to solve a business problem for a client. This piece of technology overcame a problem faced by Toyota dealers in the digital age by allowing customers to customise their own vehicle and put them in a range of environments to see what it would look like, on screens installed in dealerships, leading to a marked increase in vehicle and accessory sales. This idea gave people a reason to drink beer again with the tag-line ‘Drink a beer and save the world’. However the team at Colenso had many complex biomechanical challenges to overcome to distil leftover yeast into fuel-grade ethanol, with 300,000 litres produced and sold in 60 filling stations across New Zealand. This idea gave people a reason to drink beer again with the tag-line ‘Drink a beer and save the world’. DB Export sales also rose 10% and the solution is being rolled out globally. This category recognises the use of hard data to drive marketing results, with just a single point separating first and second places. This was a smart and data-led solution to the problem of finding people willing to pay for news in an environment where people are used to getting it all for free. Users were segmented using 200 plus behavioural indicators and more than 500,000 consumer devices were cookied into one of the segments. Third party data was then used to work out further habits of those users and extend the campaign to non subscribers. It created additional yearly revenue of $3.2m. The jury said this was “A brave and clever use of data to drive business results and editorial execution”. Pedigree Found is the lost dog alert that moves faster than your dog. By registering their dog on the app an owner can send out a notification if it gets lost which triggers Google display ads in the local area, recruiting a team of scouts. So far more than 100 dogs have been reunited with their owners using this technology, which is set to roll out in North America and Europe this year. After a tough few years Qantas was a brand in recovery, and ready to tell its story. It was looking for a way to tell rekindle employee pride, reawaken public affection and ultimately deliver revenues. Understanding an ordinary marketing campaign would not deliver on all these objectives the TV show Ready for Take Off was born. A warts and all look at how Qantas operates across different countries and in the air, the 8 30-minute episodes aired on Channel Nine at no cost, and were moved from Friday night to Wednesday prime time because of its strong ratings. This category is intended to recognise companies which provide the media and marketing industry with technological solutions that helps it to do its job better. This was another tight category with very little separating the finalists. But the innovation around Australian startup influencer marketing company Tribe won through with the judges. In less than a year of operation the platform which allows marketers to recruit micro endorsers has seen more than 6,500 pieces of content commissioned for brands with strong engagement, winning fans with marketers and agencies. This category is intended to recognise agencies excelling at the hands on aspects of marketing, delivering customers great brand experiences. Whilst Colenso is known for its big above the line work it is the fusion of this with clever and impactful experiences that hit consumers in the right place and right time. Campaigns for the likes of V Energy, Visa Wellington On a Plate and DB Export Citrus showed tangible results for the clients, in some cases with no above the line spend. The jury said: “They are pioneers in the industry, using technology for good and bringing to life the creative aspects so that they are engaging and relevant to the customer. Imagination’s unique blend of experiential, content and technology specialisms stood out for the jury in what they described as a very strong and inspiring category. Imagination is the agency behind the ever expanding Sydney New Year’s Eve celebrations, and produced every aspect of the massive Spirit of ANZAC Centenary celebrations, touring a huge exhibition across the country and creating and curating the tour experience. Born just 18-months ago Special Group lives up to its name by being built around a special group of partners with enviable reputations, helping to nurture some emerging talent in the process growing from 10 to 30 people, with revenue up 520% year on year. The agency has also won and created work like helping to reimagine the Qantas brand, taking the Hassle out of the Hoff for Amaysim and helping RM Williams with its global expansion plans. Finch has a proven track record of melding world-leading technology with imaginative and powerful storytelling that gets results for the agencies and brands they partner with. The past 12 months has seen the agency pioneer virtual reality work for Tourism Australia, help create Western Sydney Uni’s powerful Unlimited campaign and dabble with ‘magic’ – augmented reality. The ultimate death scene is a powerful and graphic film using actor David Field to portray what a whale hunt would look like if it were carried out on a human, taking the suffering of the marine animals from an abstract thought to a confronting reality. Briefed to gain attention for the Sea Shepherd cause the film has been viewed more than 4 million times and had 350,000 shares in 96 countries. For the second year in a row The Monkey’s campaign for lamb on Australia Day was the most popular with the public. This year’s campaign saw Australians being repatriated from across the globe by a team operated by Lee Lin Chin as part of Operation Boomerang, upsetting vegans in the process. With the swimming pool building industry struggling due to a number of factors Affinity were tasked with helping Narellan turn around its fortunes on a smaller budget than ever. After looking at the data the Affinity team found people were 8 times more likely to convert if the temperature was above average for the month two days in a row. Using localised data Affinity set the conditions for the campaign to run on programmatic tools, with the end results a 23% sales increase for the brand and 30% smaller media spend. This campaign put Western Sydney University on the map for more local and international students than ever before. Three films tell the powerful stories of some of the university’s former alumni including former child soldier Deng Adut, cyclone survivor Melissa Chiu and solar power pioneer Jay Manley. They have had 5 million views and 3 million shares between them. Hundreds of cyclists are injured and killed each year from motorists opening their car doors without looking. The team at Clemenger noted people tend to switch off from checking their mirrors when they turned off their car, and were tasked by the Transport Accident Commission to find a way to remind people to check before opening their doors. The Rider Reminder was born, a simple rubber sticker which is fastened to the door handles of a car designed to feel like a bike grip and get people to remember to look for bikes, with over 100,000 now installed on Victorian cars. The jury said: “Rider reminder was such a clear and motivating insight and simply delivered. The Reword project was a modern solution for a modern problem, online bullying. The project took three years for the agency, which had never tried new product development like this before, to bring to life, overcoming a lot of complex hurdles on the way. It acts as an online spellchecker for young people, highlighting insulting words and phrases in real time encouraging kids to reconsider what they write. With the tool now rolling out across schools it shows commercial knowhow can be used to create positive change. When the world’s largest short film festival Tropfest was cancelled due to lack of funds weeks before it was meant to happen thousands of fans and filmmakers were left disappointed. 24-hours after the announcement and CGU had marshalled its creative, media and PR agencies to offer a lifeline to get Tropfest up and running again, living up to the brand’s promise “See it through”. Within a week a new content, marketing and media strategy had been created, with a new brand campaign filmed at Tropfest where more than 90,000 fans braved the elements to celebrate the arts. Val Morgan’s innovation and attention to culture elevated them in the eyes of the judges. Operating in two of the fastest growing media markets, cinema and outdoor, the team focused on driving innovative solutions for clients like Australia’s first instant cinema ad for Woolworths, or real-time facial analytics to deliver a programmatic outdoor solution for Mondelez. The judges were impressed with the enthusiasm and passion with which the AdRoll team approached their task. In the last 12 months headcount has stayed flat whilst revenues have increased nearly 300% in Australia, and the Sydney office also houses four of the five top sales performers for the business globally. The team at News Corp wanted to do something unique to mark the 100th anniversary of Gallipoli, and engage an audience more at home on social media than traditional channels. The idea for AnzacLive, a standalone social media project, was born. It used real characters chronicling their own experiences on the frontline in 1915 through Facebook, in real time, with carefully crafted and thought-provoking posts. The Long-running campaign garnered tens of thousands of followers with some posts reaching 2 million people. The jury said: “A truly elegant fusion of historical research, great journalism, traditional print media and social channels. Inspired in conception and beautiful in execution. This is the second year in a row Pedestrian TV has taken home this award. Focused on the youth market Pedestrian TV is up against big local and international opposition, and yet continues to take a commanding lead in the space. In the last year it has achieved commercial success growing sales to over $7m, hired Australia’s first dedicated Snapchat editor, and deepened its original editorial offering with deeper video content and breaking major news stories. Now a decade old the judges felt this was a media brand coming of age. Anthony is known for being an industry pioneer, founding a creative agency with no creative department in Host in 2000, and one of Australia’s most successful PR firms One Green Bean in 2007. His hunger for innovation saw him play a leading role in the creation of social influencer tool Crowd Atlas last October, and then a partnership with Universal Music for cultural creative agency Bring in January. He is also a passionate advocate for women in creative workplaces, promoting females to senior leadership positions and launching a host of careers. He was instrumental in founding the Communications Council and is currently the chairman of the Effie Awards. In a traditional category with little to pick between the big four banks ANZ has stood out in recent times thanks to its dynamic, creative and cause driven marketing. The ongoing GAYTM campaign was taken to another level this year with whole branches being decorated for Mardi Gras, picking up multiple awards and a new wave of admirers. And in the last 12 months the Equal Future campaign has seen the bank commit to tackling gender inequality in the financial sector, committing to cultural change throughout its own business. The jury said: “Noble, purpose driven case study and a real life example of not only banks doing good but also a marketing team making a difference. ANZ in 3 words: Bold, brave and pioneers. Media agency OMD took out this award by just a single point from sister Omnicom agency Foundation. While the agency has had another impressive year on the business front it was the renewed focus on people from one of the biggest agencies in the country which impressed the jury. Giving staff more opportunities to have training, get promoted and help recruit like-minded people has made for a happier workplace – something polled on four times per year. The agency also has impressive diversity throughout, with a 50-50 male female split in management. This is the first time the five-year-old independent network, which has local offices in Melbourne, Adelaide and Sydney, has won this award. The five-year-old agency impressed the jury with its breadth of work and strong commercial results, with profits up 42% and a 92% client retention rate. Standout work includes its campaign with CGU to save Tropfest and getting the Cookie Monster to promote giving blood in Victoria. Impressive new hires and a commitment to diversity in its management ranks as well as a series of staff initiatives across training and recruitment added up to an enviable culture. This is the third award of the night for Cummins&Partners. The agency was founded by its partners in 2011 with the idea of putting the genie back in the bottle by combining creative and media offerings. While its creative chops have been well demonstrated for a range of clients the agency has picked up more media work in the last year for clients including Tourism WA, the National Home Doctor Service and VicSuper, delivering creative, media strategy and buying services for them in house. The past 12 months have been exceptional for Eleven PR winning clients, awards and most importantly the hearts of customers for the people they represent. Stand out campaigns for MJ Bale, Krispy Kreme and Tourism New Zealand were coupled with winning every pitch but one, including the Virgin Mobile business. With revenues now at a record high the agency looks set for another good year. This category saw our jury visit agency offices in Sydney, Melbourne and New Zealand, and pitted two sister offices against each other. Colenso is a powerhouse name not just in Australia and New Zealand but on the global stage, consistently producing the type of creative work that makes other agencies wish they had done it. This year has been no exception with the agency helping people to save the planet by drinking beer with Brewtroleum, reuniting the public with their lost pets with the Pedigree Pet Tracker, served Amnesty International ads through an adblocker and taken Burger King to people’s back yards. The jury was impressed by the humble confidence displayed throughout the agency, and a culture of creating the best work for clients. The jury said: “The major difference is the Purpose with creativity mantra which was clearly articulated by Colenso. Founded at the start of 2014 by a cast of industry Veterans Atomic 212 has had a major impact on the local market. Structured around three core creative communications companies the agency offers a range of services for clients including TAB, AMP, Origin Energy and NT Tourism. The agency made headlines around the world with its innovative Lucy the Robot campaign, allowing a Sydney woman to queue up and buy a new iPhone from the comfort of her own sofa. A slew of new client wins have brought impressive revenue growth, while the agency’s staff retention rate was 97.5% over the judging period. The jury said the “sheer scale of business growth and the momentum and innovation” put Atomic ahead of the pack.